Nowadays more and more people are into games, specially video games. But also, a lot of those are filled with violence, shooting, bombs, and people doesn´t really seem to think it´s a problem. But what happens when it becomes reality!? Or more, what happens when reality takes over the video game? In an effort to raise awareness of the situation of children in South Sudan, UNICEF embarked on an unusual kind of campaign. They sent an actor, a film crew and two South Sudanese youth to a major video game convention in Washington, D.C., and we were given a keynote address slot to pitch an exciting new video game to an audience of gaming enthusiasts. The gamers in the room were real, as were their reactions and the footage that UNICEF captured for this short film. In 2014, disasters and crises have affected children in many parts of the world. In South Sudan, which only a few years ago celebrated its independence, food crisis and conflict during the past year have had deadly consequences for children. Read more about the situation in South Sudan. #Malala, one girl among many! Uma garota entre muitas! [EN] Today, Malala Yousafzai, is receiving the Nobel Peace Prize 2014, the youngest ever person to receive the award, n recognition of their shared courage and bravery in the struggle for education and children’s rights. But also In honour of Malala Yousafzai, Plan International Brazil and more than 40 young girls around the world, reproduced her most famous speech about the education for all girls… so I leave you with a bit of inspiration! [PT] Hoje, Malala Yousafzai está recebendo o Prêmio Nobel da Paz de 2014, a pessoa mais jovem a receber o prêmio, em reconhecimento a sua coragem e bravura na luta pela garantia do direito a educação de todas as crianças. Mas foi também hoje, Dia Internacional dos Direitos Humanos, que a Malala enviou uma carta aberta aos líderes mundiais, pedindo que eles aumentem suas ambições para 2015. “ssa é a sua chance de se comprometer a criar um mundo melhor”, disse Malala em sua carta, “…É por isso que peço urgentemente que sejamos mais ambiciosos. Se tomarmos as decisões certas e seguirmos esses objetivos, poderemos ver o início de um futuro melhor em 2015. Um futuro que “perdure”, em vez de ter medidas paliativas”. E em homenagem à Malala Yousafzai, a Plan Internacional do Brasil e mais de 40 meninas ao redor do mundo reproduziram seu discurso mais famoso pela educação de todas as meninas. Que segue para sua inspiração! 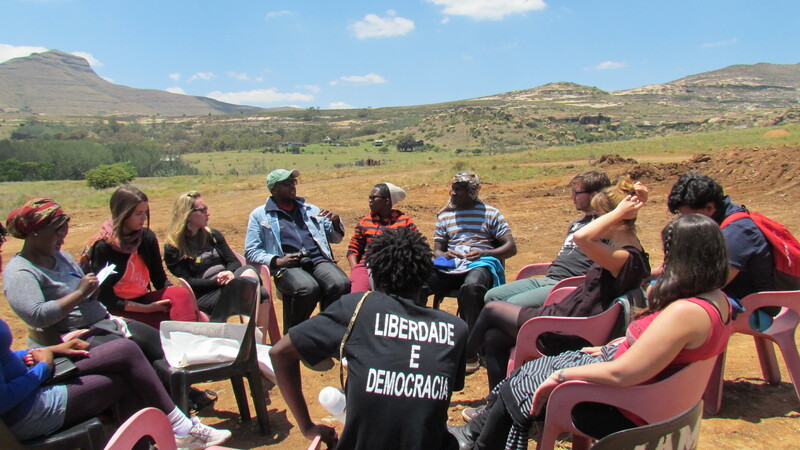 We are 60 diverse young people from all continents of the world who met in Rustler’s Valley, South Africa from November 16 to 19, 2014 to discuss the state of civil society around the world and consider our role as young people within it. We do not claim to speak for all youth, or for the diverse views from within our own countries, but rather we seek to lend our voices to the on-going debate about the role of civil society in the social, political and economic transformation of the world. We also want to respond to and further develop the conversation begun by the Open Letter for Activists as young people engaged at grassroots, national and international levels. Increasingly, the face of civil society around the world is a young one. Yet, we recognize much may be learned from other generations; their struggles, histories and lessons. Although we will face many of the challenges of the future, we believe that with intergenerational partnerships and a shared responsibility, we can transform civil society and therefore global society. Current strategies to address restrictions on civil society space are failing. To create the necessary space at the national level, we should develop radical tactics to mobilize non traditional civil society groups, create platforms for international solidarity, and develop safe spaces where we can come together in a conducive environment to address these issues. After much reflection, we collectively arrived at four primary topics of concern to those present: race, gender and sexual orientation; democratization of our own organisations and power structures; reform of relationships between civil society and donor organisations; and the divide between grassroots movements and civil society organisations (CSOs). As youth, we witness and experience the on-going reality of discrimination in civil society based on race, gender, and sexual orientation. We call on all sectors, especially media, governmental, non-governmental, and religious organizations, and the private sector to acknowledge and combat discriminatory practices. Civil society should lead the way by respecting diversity and completely eliminating all forms of discrimination from our own environments. Public dialogue through the use of inclusive and accessible language to broaden participation and break down the hierarchy among civil society and the communities we seek to serve. Structures of power that prevent us from collaborating across issues and themes to establish civil society-wide avenues of influence and the elevation of our collective voice. Access to intergovernmental and civil society processes for local and grassroots social movements. Relationships between large civil society organizations and grassroots movements through the adoption of and respect for higher ethical standards. Mechanisms that ensure the full integration of all stakeholders into decision-making processes, including volunteers. Acknowledge the need to be financially autonomous through self-sustainability. Mobilize unions through membership fees as a way of engaging our own constituencies to ensure their ownership and responsibility in our work. Create alternative and innovative solutions to generate funds for our work. Encourage donors to explore avenues of promoting collaboration between and with civil society organizations. Access. 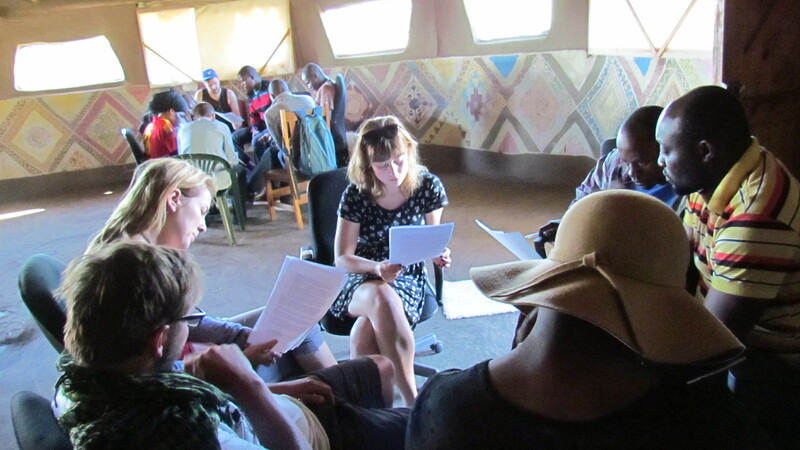 NGOs should work to access, identify and develop leaders and existing solutions within communities. Serving as enablers, we can support accessibility to and sharing of the core resources needed to foster greater impact. Sustainability. NGOs should promote capacity-building and community ownership to both catalyse the emergence of new grassroots groups and ensure existing groups continue their work self-sufficiently and sustainably. Instead of providing ready-made solutions, the focus should be on connecting likeminded leaders in decentralized networks of information sharing. Measuring success. NGOs should work with communities to develop new, community-supported, ways of measuring and interpreting success around the values of sustainable change and community ownership. Reimagining the playing field. NGOs should work to reorient all funding systems to align with these tenants and the under acknowledged needs of grassroots organizations. As young people fighting for social justice, we make these criticisms and suggestions with the hope that they will contribute to a reimagining of the role, vision and methods of civil society. We recommit our lives to the struggle against inequality, poverty, environmental degradation and all injustices in whatever shape they assume. We perceive the vision of our letter as an invitation to all—including young people and those in decision-making positions—to take immediate action to transform civil society. Let this letter stand not only as our message to civil society, but also as a broader commitment to move forward with confidence and purpose towards a just, sustainable and peaceful world. 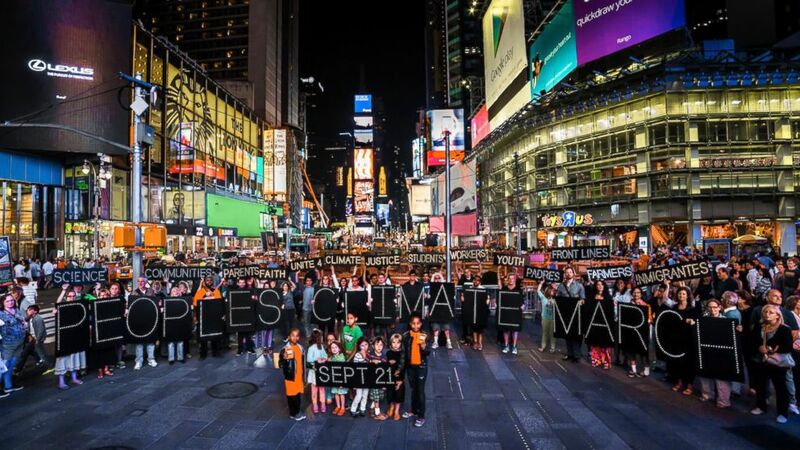 Se você esta chateado porque não pode estar em NY para a marcha parte da Mobilização Climate dos Povos, não tem mais razão pra isso!!! Em várias partes do mundo, uma série de ações vão acontecer, mobilizando milhões de pessoas para exigir “Ações e não palavras” dos nossos líderes mundiais. (No link acima você descobre onde vão rolar, e como se envolver! Ou vale conferir outro post que fiz sobre o assunto). Melhor do que eu falando, deixa O CARA, falar pra vocês! Qualquer ser humano que se locomova sem carro em São Paulo e desafie a lógica da mobilidade desta cidade é super-herói. 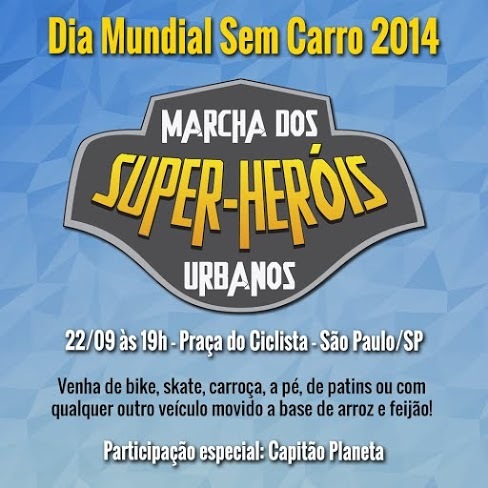 Então que tal aproveitar o Dia Mundial Sem Carro para uma Marcha dos Super-Heróis Urbanos?! Bicicleta, skate, caminhada, carroça, patins, pogobol, patinete… Vale tudo movido a propulsão humana! E, se estiver no clima, vale até vir fantasiado! Presenças ilustres garantidas: ninguém menos que Capitão Planeta estará lá em pessoa. 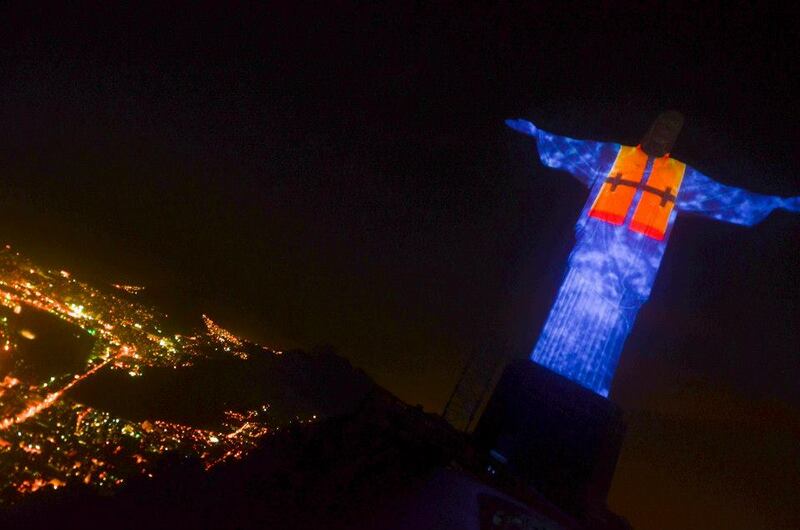 Vem que nesse dia a Av. Paulista será nossa! Para saber mais, confira a página do evento no facebook! 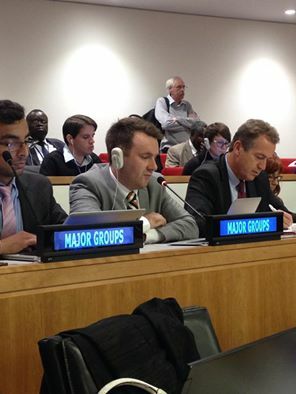 Today, Martin Ulvestad Østerdal, from the Norwegian Children and Youth Council (LNU) delivered a statement on behalf of the UN Major Group for Children and Youth to the plenary meeting of the Habitat III PrepCom1 at the UN Headquarters in NY. Martin reminded the delegates attending the PrepCom1 about the importance of engaging and listening to youth, children and future generations since they are the ones who will inherit this new habitat agenda being discussed, and will be directly affected by decisions taken today. He also reminded us that in order to tackle the challenges we face today, we really will need a tailored and ambition new development agenda. The way we plan our existing cities and address the issue of new cities will determine what SDGs are fulfilled and who is left behind. The agenda needs to go beyond its focus on just Urban, and focus on an agenda for human settlements everywhere, and it needs to be inclusive of everyone, specially women and young people. Finally, Martin called attention of all the government delegations attending the PrepCom1 that Youth Participation must not be a one off event. That we can no longer accept hand picked youth participation discussing topics defined by others as youth issues. 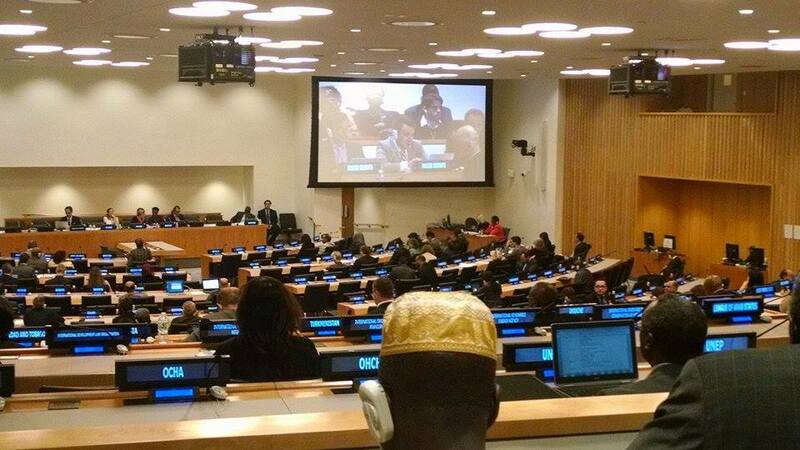 Youth participation needs to be representative, independent and with emphasis on the whole political process. The new urban agenda needs to maximise our holistic human development and minimise our ecological footprint. And the only way to achieve that is through dialog, participation and partnerships with the people living in the city/ these places, including youth and children. Nothing about us without us. Read the full statement delivered today here!